DTX Media is a Dallas video production and photography firm that specialized in architecture and commercial real-estate. You can see several examples of our work above. We serve all of Dallas and Fort Worth but are certainly able to travel if needed. You’ll see everything from photographs with people in them, to blank spaces, real-estate photography sometimes at night or twilight and even aerials in our portfolio. We are very experienced and can provide anything you need. Commercial Real-estate and Architectural photography usually requires exterior photos of the facility. Time of day is crucial for these images. This sample was taken at UTA near Dallas, Texas for HKS architects. The images was taken at a late twilight which allows the sky to still retain some blue. Notice how the ambient lighting balances with the artificial lighting.. Exterior images, as well as interiors can also be HDR, (High Dynamic Range) when necessary. Our Interior photography is typically shot with a 16mm L series lens on full frame sensor. What does that means? It means you can see much more of the room with very little distortion and no fish-eye effect. If you want a wider shot, we can stitch multiple images together to make beautiful panoramas! We can shoot with a High Dynamic Range (HDR), meaning that the really bright areas like the windows are not blown out, and the really dark ares like under the table are not jet black. HDR requires a lot of skill and experience to execute successfully, a well executed image is not noticeably HDR except to the trained eye. DTX Media is a professional photography and video production company. The above real-estate video is of a residential house in Dallas, Texas. We use advanced and creative film techniques with sliders, drones, and even time-lapses to display estates at their best. This real-estate video service is also available for commercial properties. We provide photography services for commercial and consumer real-estate. This includes everything from office complexes, to hotels and hospitality, to apartments and homes. We even provide 360 interactive virtual tours, ask us about them! Architecture or Real-estate photography can often require aerials. 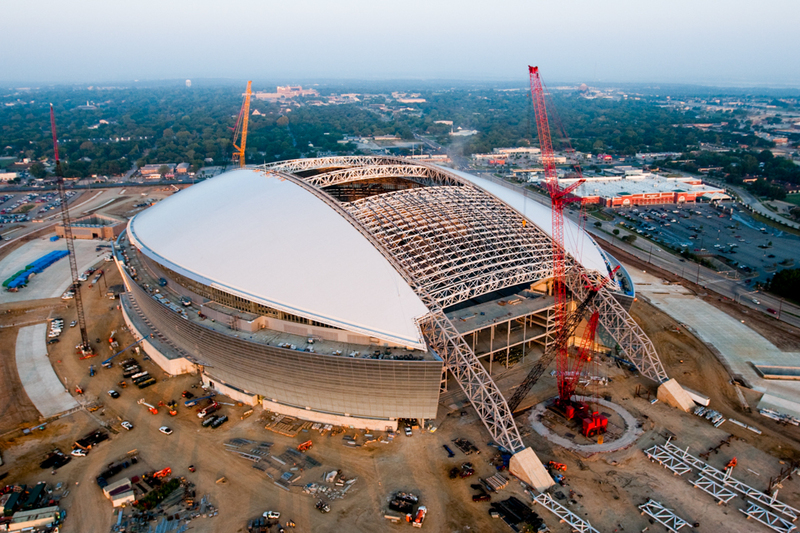 Above is the Dallas Cowboys stadium under construction. DTX media has been specializing in aerial photography and video before drones ever existed, and we’re very experienced. Drone aerial photography is included with several packages, but we can only fly in allowed areas. See the drone restrictions and more samples on our dedicated Texas aerial photography page. All site content Copyright © 2018 DTX Media, LLC and Crew.